Yeah, 3A would do a wicked Shakara. The way the 2000AD licence has been handled by 3A is a crying shame. Releasing Tharg first was a bit daft, however I could see some logic as he was a fan piece. Mongrol was amazing and really showed what the company could do. The logical step would have been to quickly follow up with a 1/6 Dredd and Anderson (you'll be amazed how mad some of the collecting community go for female figures.) 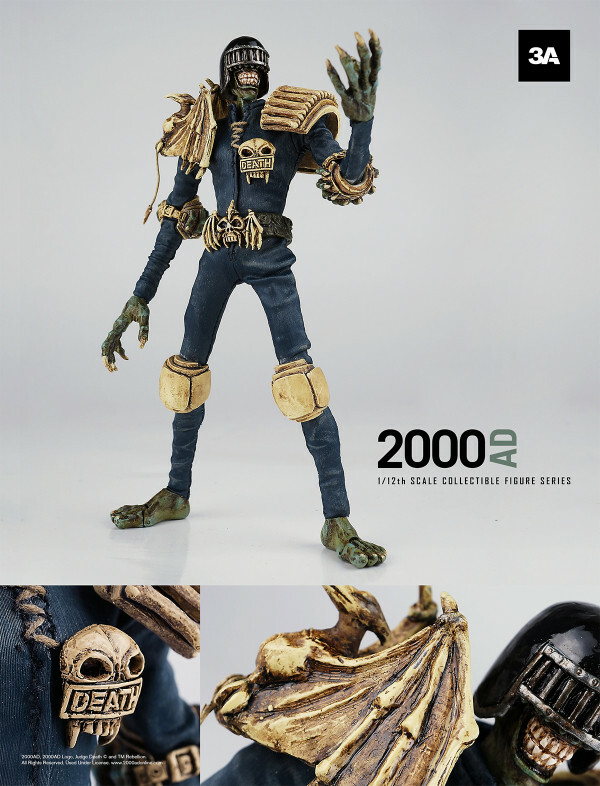 I feel this would had got the ThreeA community was behind the line it would have really taken off, they're a loyal bunch (or at least, were. I think a LOT of people are jaded by the company now.) Instead, we got long waits, little or no info and at worst, damn lies. 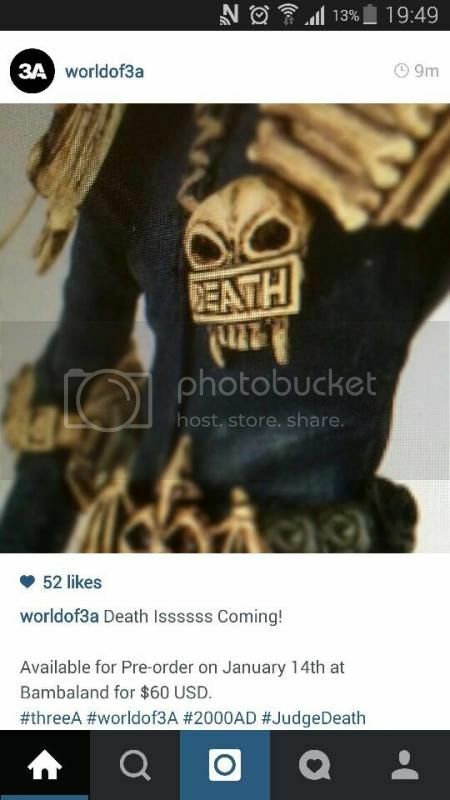 The company claim that the 1/12 Death is coming before the next ($150) round of 3A membership, which is mid January. I suspect he might, but dropping a figure just before or after Christmas with little or no warning is pretty suicidal. Once again we'll be blamed for not getting behind the figure and I fear the line will be quietly dropped. I really hope I'm wrong! They could have released figures of the supporting judge characters first if they wanted to test the waters for a Dredd figure. I think Judge Anderson would have sold well. Call me crazy but I think testing the waters for Dredd would be best served by making a Dredd figure rather than putting effort into less popular secondary characters that sell less. I love my 2 Ro-Jaws and would've picked a number of figures from what was promised, but Death wasn't one of them. Pete nearly got annoyed then. Things must be bad! He actually has got mad 'in another place' (where we've all been told we're negative nellies). Quite magnificent to behold. And to be clear that's 14th January 2015 on Bambaland, $60. It's finally, finally going to happen! Looking good from that small teaser I reckon. Huzzah! Good to hear, hope it does spectacularly well! Fantassstic! Worth the wait I reckon and it looks spot on, which bodes well for the other figures in the pipeline. Hurrah! Well now, never thought I'd describe old Deathy that way, but - that there's a thing of beauty. Put me down for a couple!